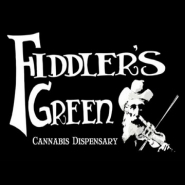 Ridgway, CO 's Premier Cannabis Shop, Fiddler's Green is a small, family owned Dispensary. We are dedicated to providing customers on the Western Slope with the Highest quality cannabis at an unbeatable price. Our friendly and knowledgeable staff is on hand to assist and answer any questions. We look forward to seeing you!